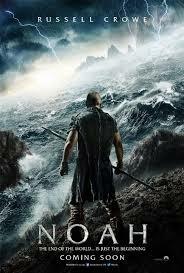 We review the movie Noah with J. Ryan Parker and then hear from the director and screenwriter. Bo and J. Ryan chat about their upcoming posts for the movie and some of the concerns they had coming out of their viewings. Then Darren Aronofsky and Ari Handel talk about their work, their research and their passion for this movie ( begins at minute 40). Their goal was to “humanize and dramatize” what they refer to as this “primal” story. Subscribe to the new stream.